weigh 170 lbs MORE than I do now. At puberty, my weight gain and the struggle and ridicule by others (and myself) began. 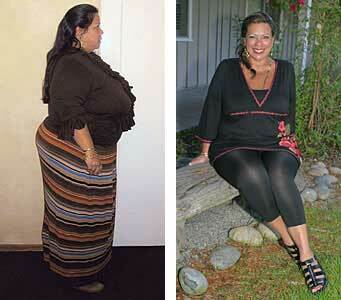 “Over the years, I’ve tried everything conventional, alternative and otherwise to lose weight. I occasionally lost some weight but would always gain it back. I lived the “yoyo” for years until a humiliating experience forced me to seek yet another weight loss program. “Thank God I found The Healthy Way. It was completely different from anything I had ever tried before and, I immediately lost weight. My blood sugar leveled off. I was physically, mentally and emotionally better and the pounds melted away. It’s been several years now that I’d had a complete transformation of how I relate to food and my body. I see reality.